Scottsdale has of dozens of unique communities or neighborhoods. Each community has its own personality and style. Communities range from affordable neighborhoods to luxury enclaves. You can view the homes for sale in each subdivison by clicking on the community name below. We would be pleased to show you any homes for sale in Scottsdale. Click to Schedule a Showing or email Carmen Brodeur at Carmen@TopScottsdaleHomes.com. Carmen is a top Scottsdale Realtor with a unique background as an Attorney. She has exceptional experience with contracts and negotiations to help you get the best deal on your next home. 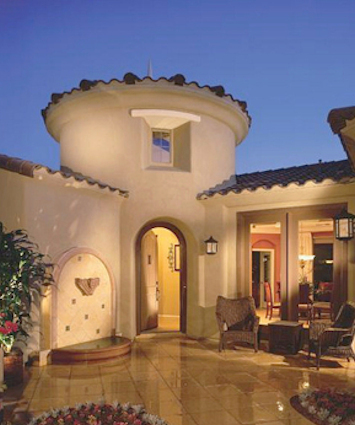 Scottsdale is a coveted location with many amenities to enjoy. For golfers, Scottsdale is home to dozens of world-class courses that many professional golfers call home. Many of these courses offer memberships for those interested in an exclusive lifestyle. Shoppers from around the valley flock to Scottsdale’s upscale shopping centers. Scottsdale Fashion Square is a three story mall in central Scottsdale with over 250 retailers, including many designer brands. Scottsdale Quarter and Kierland Commons offer luxury shopping in North Scottsdale. Food lovers adore Scottsdale with its abundant dining options. There is a variety of cuisines to choose from in Scottsdale. Whatever you have the taste for, Scottsdale is sure to have it. In 2014, eight Scottsdale restaurants received the prestigious AAA Four-Diamond ranking. Spas are a great way to unwind and pamper yourself. Scottsdale is full of luxurious day spas, with unique spa treatments. There are a lot of resorts in Scottsdale that make for the perfect “staycation”. Many of these resorts have giant pools, golf courses and gorgeous views of the mountains. Hiking and biking is a hobby that many people in Scottsdale partake in. There are lots of different trails ranging in length and difficulty for every fitness level. This is a great way to enjoy the beautiful Scottsdale weather. Overwhelmed by all of the choices for Scottsdale homes? Let us help you! We would be happy to explain the differences between the communities and find the right neighborhood for you. Just tell us what you are looking for and we can do a custom search for you. We will email you all the homes that match your criteria. You will also receive email updates as new homes come on the market or are reduced in price. It is the easiest way to search for a new home. Carmen Brodeur specializes in North Scottsdale real estate and can help you find the perfect home. Call her at (602) 791- 0536 or email Carmen@TopScottsdaleHomes.com to start your search or to schedule an appointment.